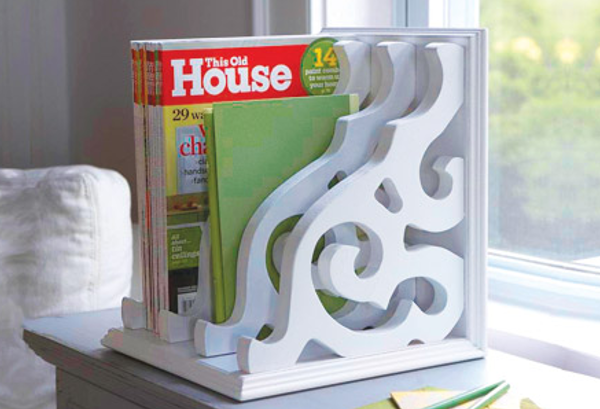 Build a magazine rack using using wooden brackets. View tutorial at This Old House. 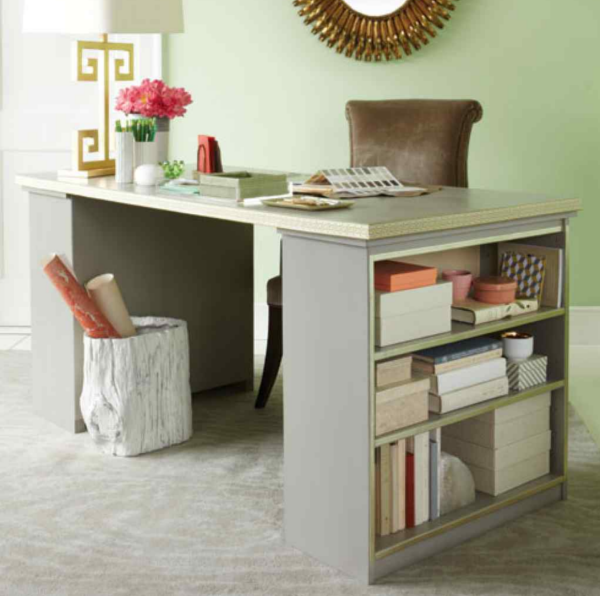 Use two small bookcases and a cheap door to build an inexpensive desk with lots of storage. View tutorial at Martha Stewart. 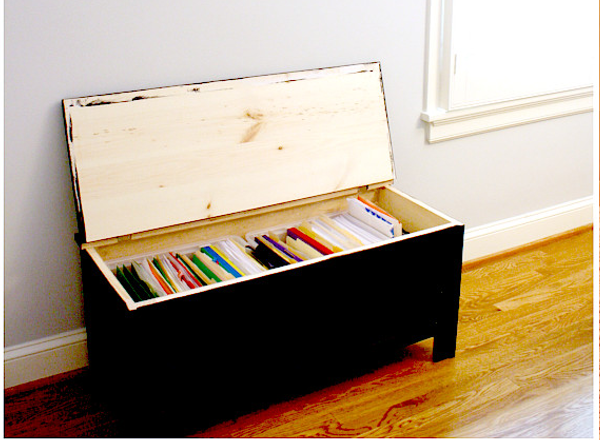 Add a filing system inside a large trunk and toss those ugly metal filing cabinets. (adds extra seating as well!!) View tutorial at Bright Bold & Beautiful. 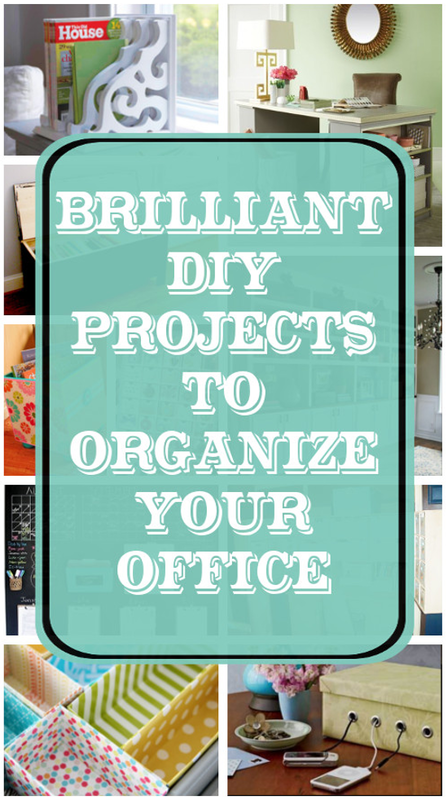 Mod Podge storage bins to match you office decor. Mod Podge Rocks. 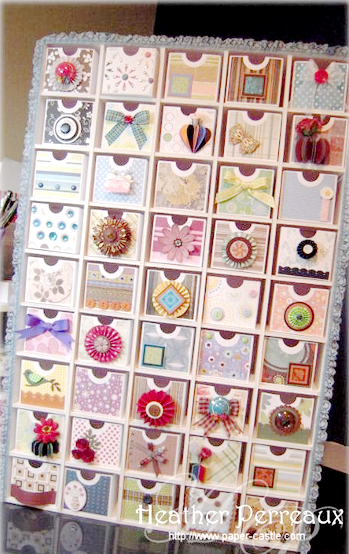 Make a storage unit out of poster board for all of those tiny objects. View tutorial at Paper Castle. 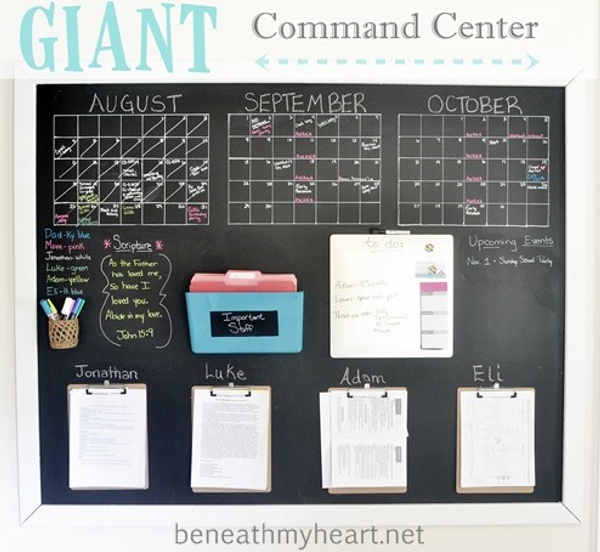 Set up a giant command center to organize your entire family. View tutorial at Beneath My Heart. 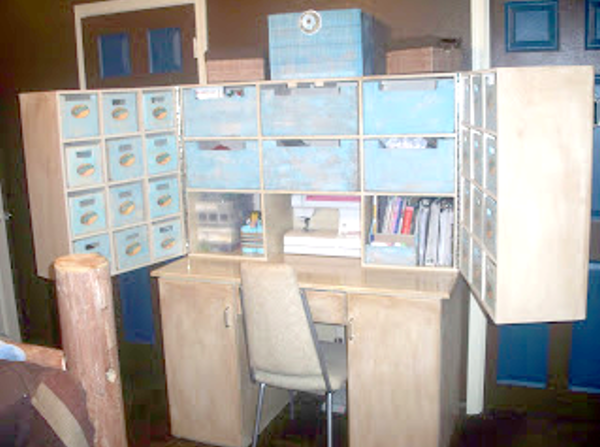 Make your own fold-up office. 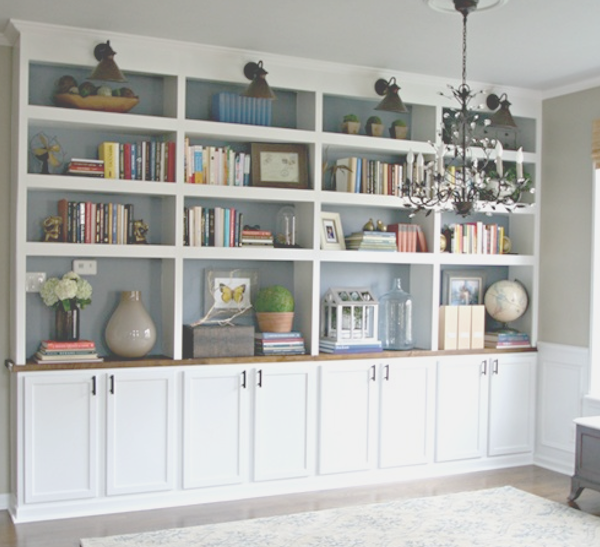 Provides tons of storage that can easily be hidden away when company arrives. View tutorial at Me Making Do. 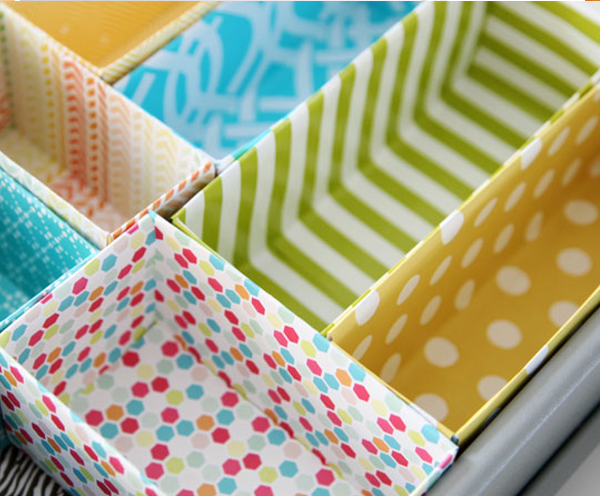 Make your own stylish drawer dividers using cereal boxes. 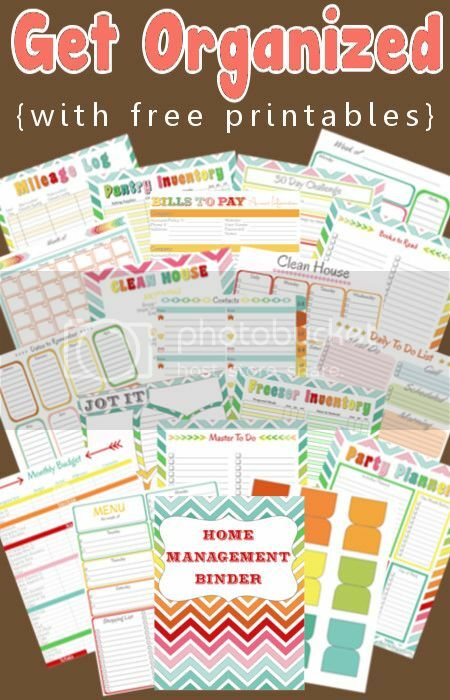 View tutorial at IHeart Organizing. 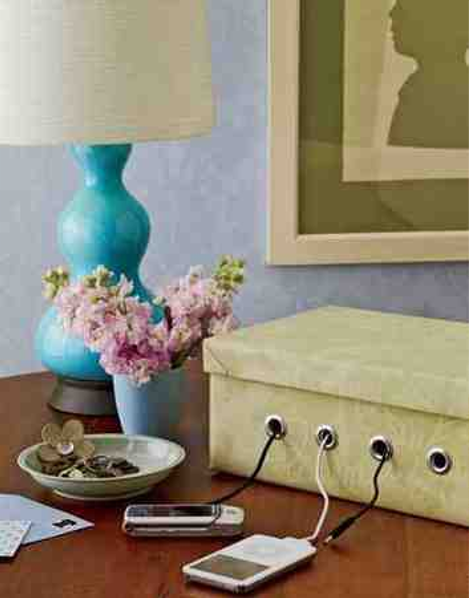 Minimize the cord clutter by turning an old shoe box into a charging station. 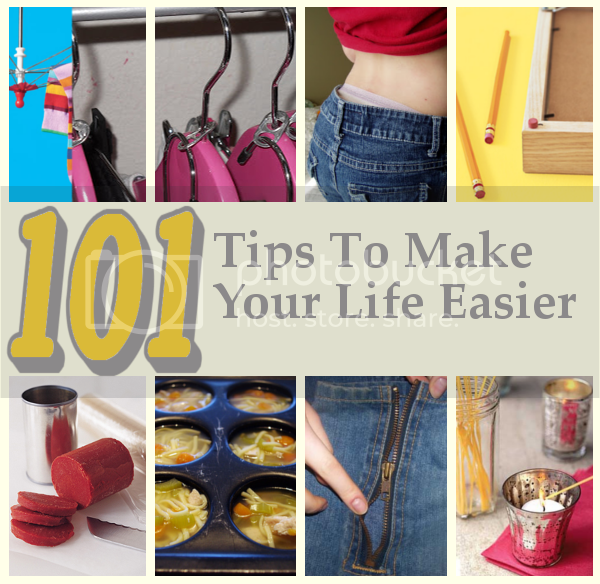 View tutorial at Curbly. If you enjoyed this post don't forget to pin it! 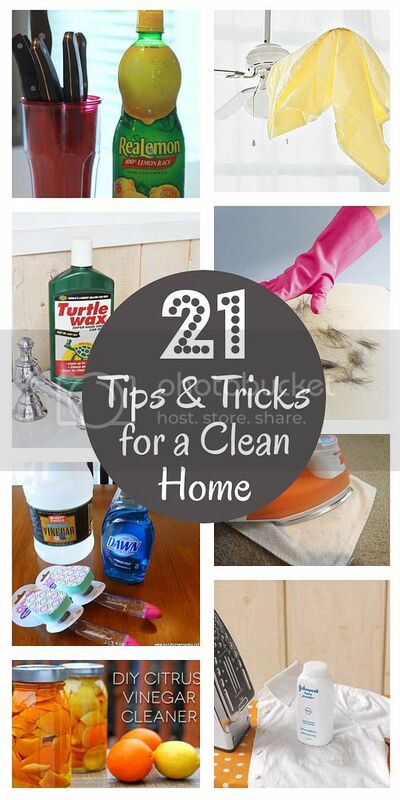 Oh....stop by and share this on my Wonderful Wednesday Blog Hop? Thanks for stopping by. I'm sure your office will look this great or even better!! I, urgently, need the last project (the charching station) to declutter my working desk...... Thanks for collecting all these useful ideas. I hear you. That one is on my to do list as well!! This is great! Since I’ve been working on moving into this new apartment and trying to figure out how to utilize all my space, this helps me a ton. 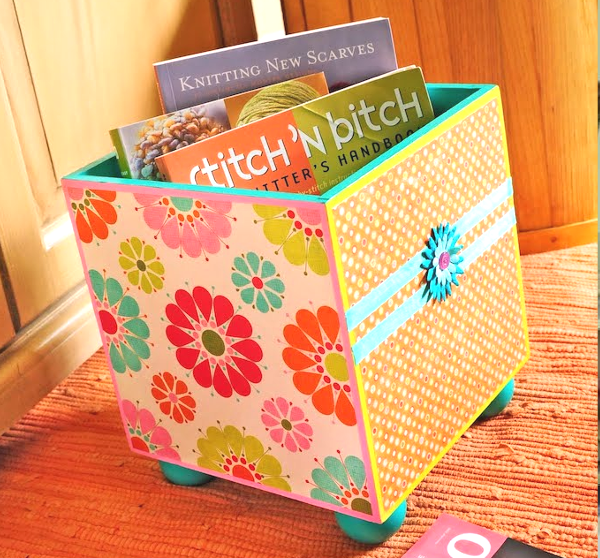 I cannot wait to make that diy mail sorter. Thank you for sharing!